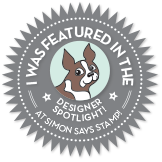 With this card i'm entering the Hero Arts Tic-Tac-Toe challenge and the Simon Says Stamp Monday challenge : For the Love of Plants. For my card, I chose the right vertical row: heat embossing, die cutting, my favorite color (mint and gold). 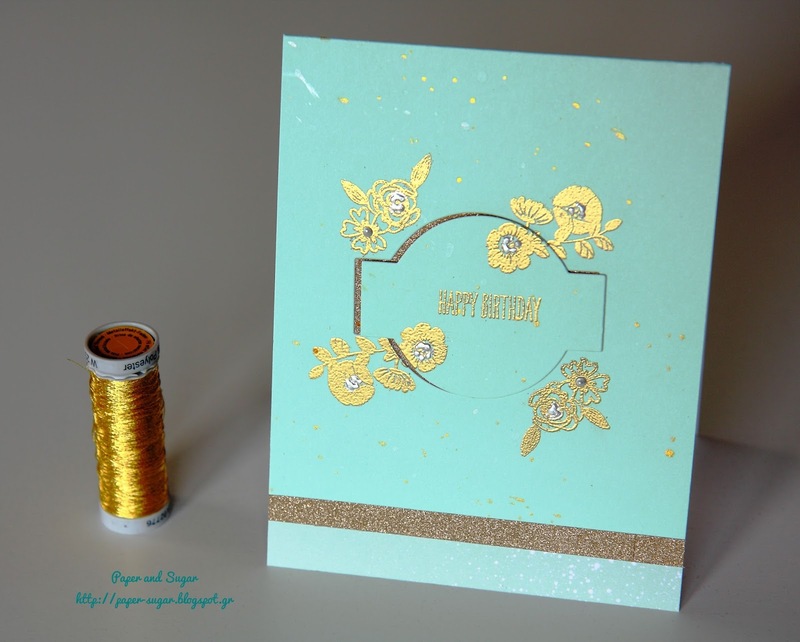 What a beautifully elegant card you've created! I love how it has a classic elegance about it, yet that color palette is so modern and fresh. I would've never thought to combine mint and gold, but I really love the way it turned out. You did a great job on your heat embossing, too, and those metallic touches really pop! 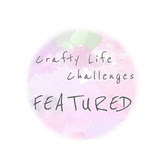 I also like how you included some little scattered gold splatter dots here and there. 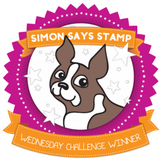 The whole thing came together so well and I'm so glad you shared it with us for this week's Simon Says Stamp Monday Challenge! Hi Andrea! Thank you so much for your lovely comments! I really appreciate them!